The Lord High Commissioner of the General Assembly has thanked staff at a church-run project for "dedicating their lives" to helping people. 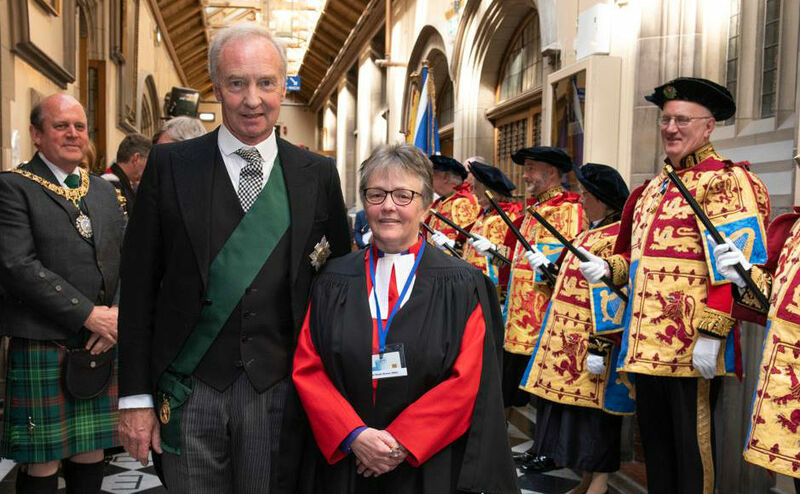 His Grace Richard Scott, Duke of Buccleuch and Queensberry said it was a "privilege" to visit Threshold in Hamilton, South Lanarkshire, operated by the Kirk's social care arm, CrossReach. His Grace said the service supports young people with "challenging development difficulties, helping them to transition from home life to being in the community and being with them along their whole journey through life into old age." He added he was particularly struck by staff who have dedicated their lives to "looking after those with constant needs in a loving Christian way" for at least 20-years. Representing the Queen at the Church's annual gathering in Edinburgh, His Grace also visited the charity Playlist for Life, which uses music to help people with dementia, urging people to support its work. He spoke equally warmly of the work of Stable Life, an equine therapy charity "building a sense of self-esteem and purpose", in young people. His Grace said: "None of these would work without dedicated service by often un-sung heroes who give not just for a few hours or days but over the years." During the speech, which officially marked the closing of the General Assembly, His Grace also referred to the "infectious atmosphere" of the Heart & Soul festival in the capital's Princes Street Gardens. He said is allowed him to learn "much about the church I didn't know." Having been welcomed to the Diaconate tent, His Grace singled out the contribution of Deacons, saying how "impressed" he was by their role and how "important" their contribution is to worship. He held up a "cupcake with a difference", a souvenir from the Guild's stall at Heart & Soul. "This grey icing tells a story about depression and peeling it back you can see wonderful colour and life in it," he said. "There won't be one of us here who hasn't had a brush directly or indirectly with mental illness." His Grace thanked the new Moderator, Right Rev Susan Brown for having been "extraordinarily kind to me." "Peace Be with you - the message of this General Assembly, this church, this family held in God's heart, made by you Moderator in the year ahead as you travel far and wide," he said. "As we shall sing shortly, may the God of peace go with us all as we travel from this place, may the love of Jesus keep us further in hope and full of grace. "I shall inform her majesty that you have concluded the business for which you were assembled. "In the Queen's name I bid you farewell."